I am in the same situation and the "Simply include the hard disk in a volume or Disk Group and it will be initialized." was no real help. 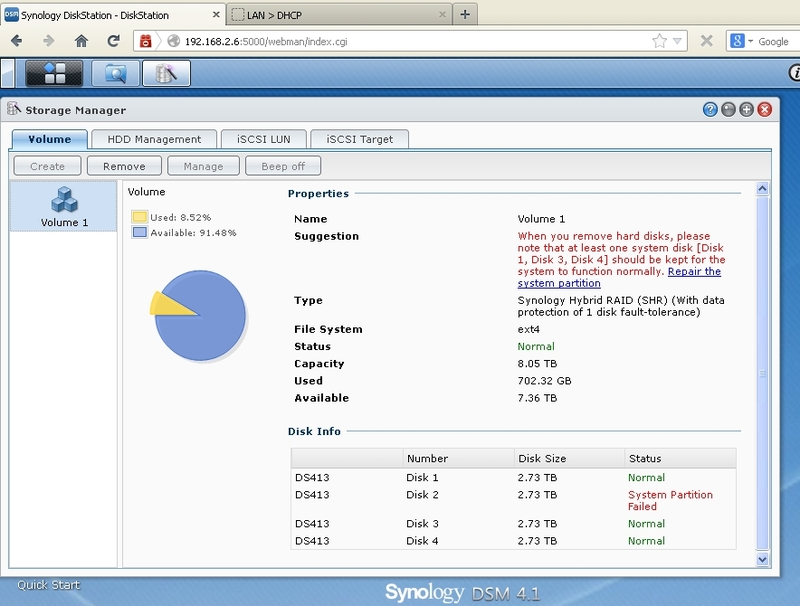 I have been having terriblle problems with my RAID 5 Volume (4 x 1TB Disks in Synology DS410). 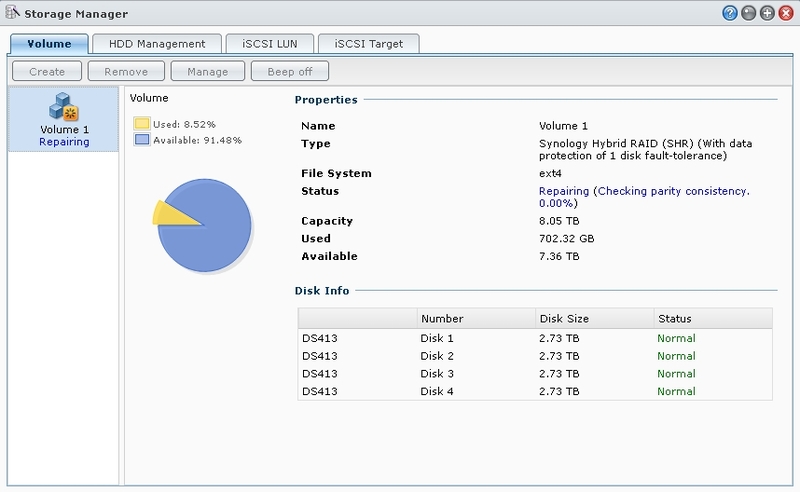 To cut a very long story short; I have all original disks installed, can connect and see all drives reporting normal and passing all HDD specific Vendor diagnostics connected outside of the NAS. 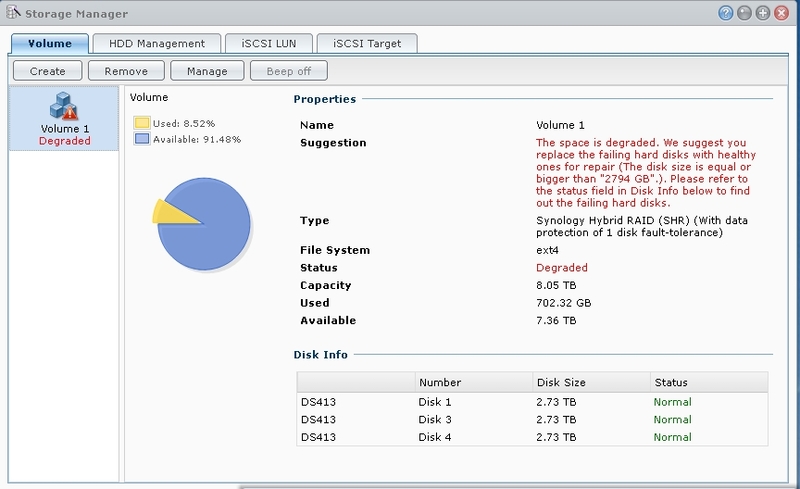 Volume reports degraded and Disk in Bay 4 is in the "Not initialised" state. I can see that 757GB of space has been used in the Volume but, no data can be seen and Shares are no longer available. If I do the repair it wants to erase the disk prior to joining the Volume and I am worried it will properly screw my chances of future access to my data. I have successfully gained access to my data by inserting a clean spare disk in Bay 1, reinstalling DSM and then introducing original disks in Bays 2, 3, & 4. 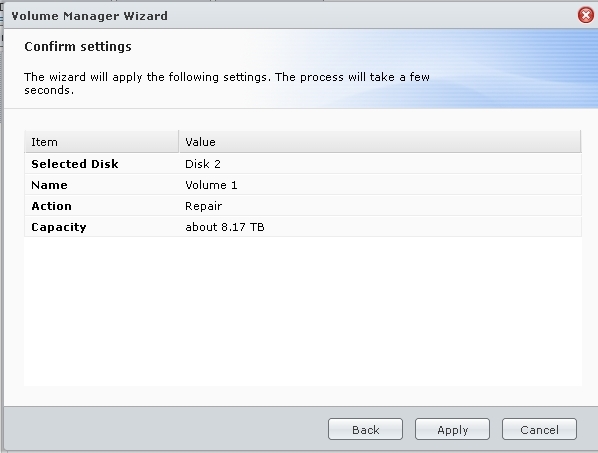 The Volume is then degrated but, enabled me to backup 70% of my original data... Size is considerably reduced since crash since, I would prefer to attempt to recover original Volume rather than wiping all and starting from scratch; restoring from recent backup. Can anyone who has been successful in a degraded volume repair by initializing a new disk and adding to the degrading volume tell me if your data was available before starting the repair process please? Of course, any other words of wisdom would be gratefully received.